Love s’mores? Me too! Whether it’s roasted marshmallows over a campfire or baking them into a cupcake version, I’ll never turn down a s’mores in any form. 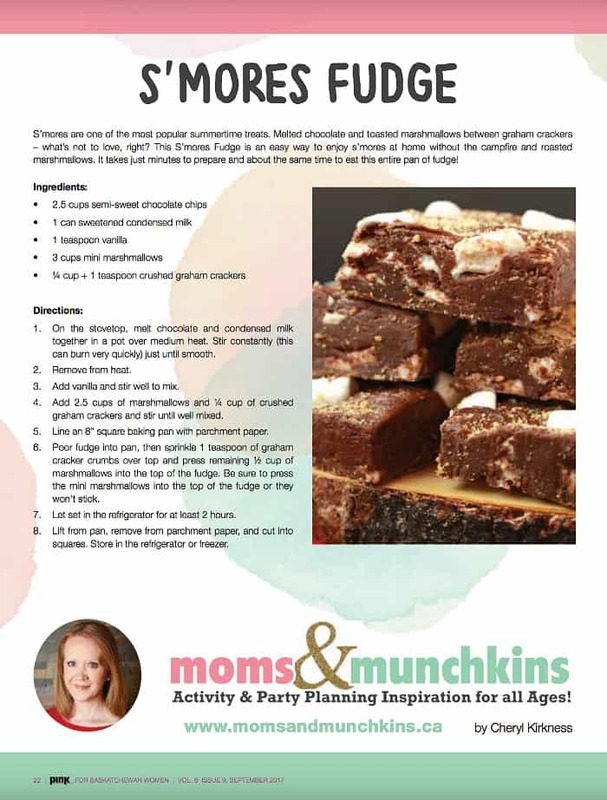 For the latest edition of Pink Magazine, I created an easy and oh so delicious S’mores Fudge. 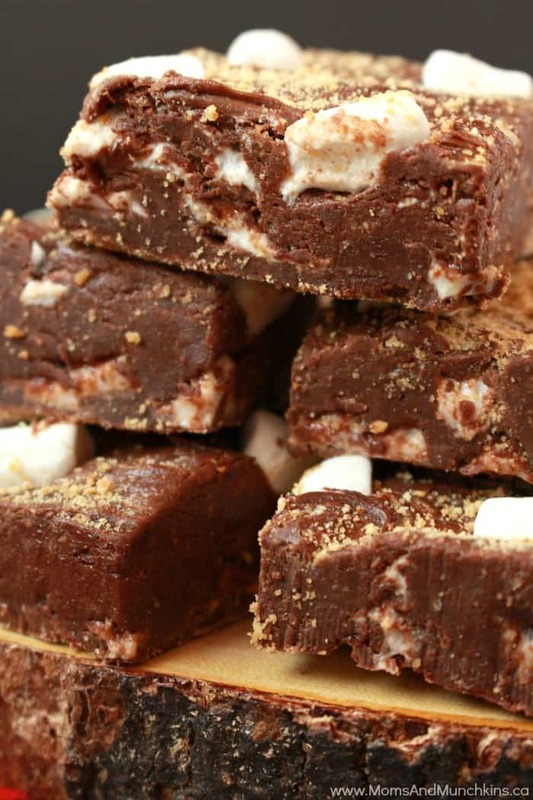 I apologize in advance because once you start eating the fudge, it’s going to be hard to stop. Best solution for not eating the entire pan of fudge yourself? Share with a friend. 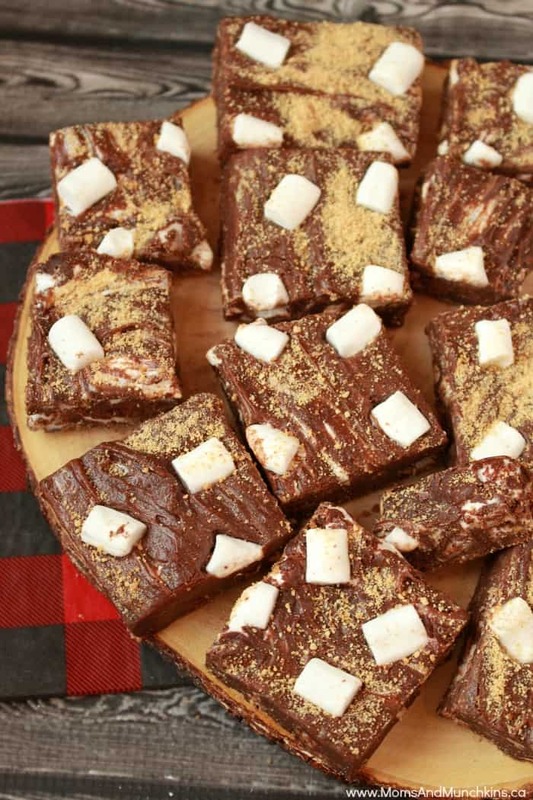 This s’mores fudge is great for a bake sale or holiday baking exchange. It freezes well so you can set some aside for when you have surprise guests pop by. The freezer won’t harden the fudge so when the craving strikes, go ahead and sneak a piece. Feel free to hide in the pantry so you don’t have to share with the rest of your family…no judgement here. Visit our Recipes page for even more delicious ideas. We’re always adding new ideas for recipes and party planning inspiration! Never miss an update by following us on Facebook, Instagram, Twitter and Pinterest.